It happens to every woman: falling into the dreaded hair rut. You might have had the same style for quite some time, or you’ve been hopping from style to style in search of The One, only to fall into your go-to ponytail. It’s not a great spot to be in! At Kimberly Gore Salon in Columbus, we get it. We want you to look your best and will recommend the best hair style and hair color for you. And if you’re trying to get out of the rut, we can definitely find The One to make your heart sing. Call us today! One reason your hair might be disappointing you is that you’re using the wrong products. Your shampoo and conditioner can leave buildup on your hair that, over time, can make it limp or frizzy, and dull the color. You might be using too many products that are weighing your hair down. Or you might not be using enough of them. There is a delicate balance to strike, so talk to your stylist to discuss the types of products you should be using (we carry Paul Mitchell, which is nothing short of fantastic!). A color that looked great on you 10 years ago probably won’t look as great in the present. Your skin changes, your style changes, and your hair should change to keep up. Talk to your stylist and ask her what she would recommend. Be prepared to get some honest feedback and direction on where your hair color should go. And to add to that, hair color can change with the seasons. For example, spring and summer call for a few more highlights and fall and winter call for more low lights. Speaking of things that are so 10 years ago, when’s the last time you changed your haircut? 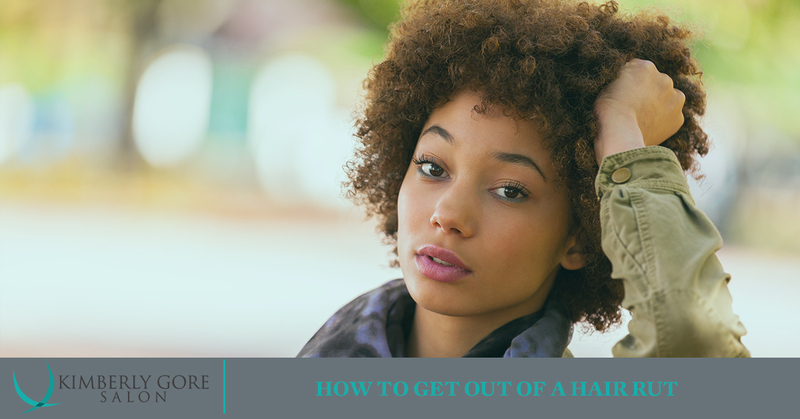 If you’ve been rocking the same ‘do for the past few years, talk to your stylist about what other options you have. Ask what types of updates she would recommend and take the leap. Style doesn’t involve just the cut. Your stylist doesn’t see you between cuts, so the look that she meticulously blows out, styles, and shellacs into place probably looks perfectly fab in the salon. But what happens between cuts? If you’re constantly putting your hair into a messy bun or ponytail, do you really have the right cut? Let her know what you do between cuts and see if she has any recommendations for something more manageable. If you’ve been seeing the same stylist for quite some time and you still don’t like where your style is going, it might be time to part ways. If your stylist keeps putting you in a look that’s outdated, or if she’s not listening and does what she wants rather than what you want, start looking. Sometimes, getting a fresh perspective is exactly what you need to bring a new light to your look! When it’s time to update your look, head to Kimberly Gore Salon. We are the best natural salon in Columbus, and look forward to working on your new look. Call us today!